If you’ve never tried to tackle a Mexican tamale recipe, you’re missing out! 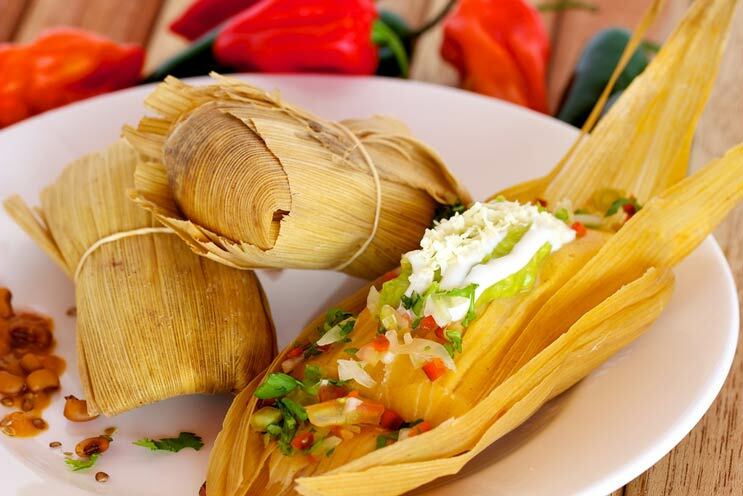 Tamales are one of the oldest Latin American traditions, dating back to the Ancient Mayans. Today, tamales are still so much more than just a meal, They’re made for holiday feasts, especially Christmas, and it’s a time for friends and family to gather for a tamale, spending the day cooking good food with great company. Every Mexican tamale recipe handed down through generations has its own special flair but they all use masa or corn dough and are wrapped in corn husks or plantain leaves. You can fill them with anything that strikes your fancy: cheese, chicken, pork, etc. And tamales aren’t just for special occasions, they’re scrumptious for any meal of the day. Chef Zarela Martinez of Zarela — the renowned Manhattan restaurant that brought regional Mexican cuisine to the Big Apple — has one of the best recipes for basic tamale dough. It’s made with three simple ingredients: masa, non-hydrogenated lard, and salt.